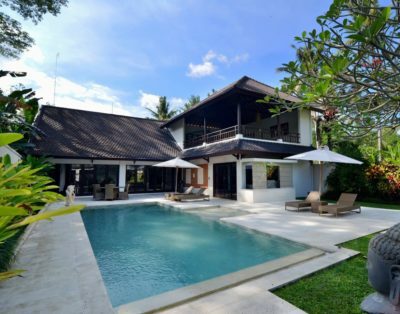 The villa has been furnished with contemporary designer furnishings from Europe and has been designed to provide all necessary amenities to please our guests. 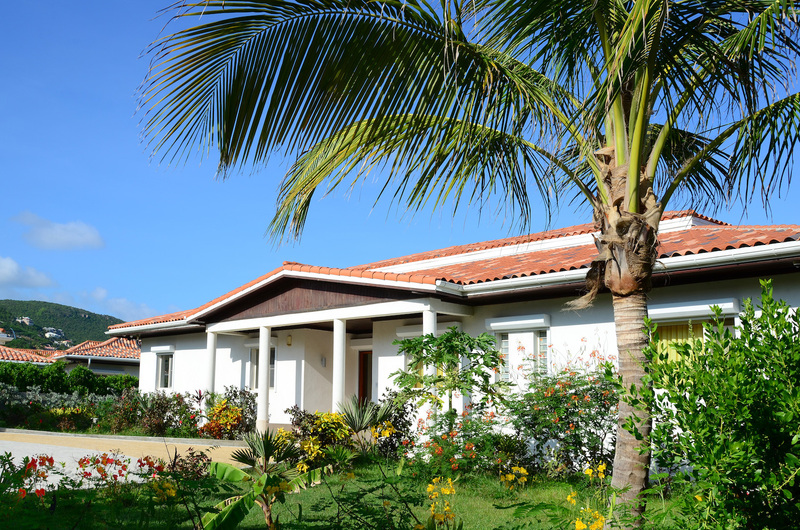 The villa is set on one level and access to all bedrooms is within the villa. 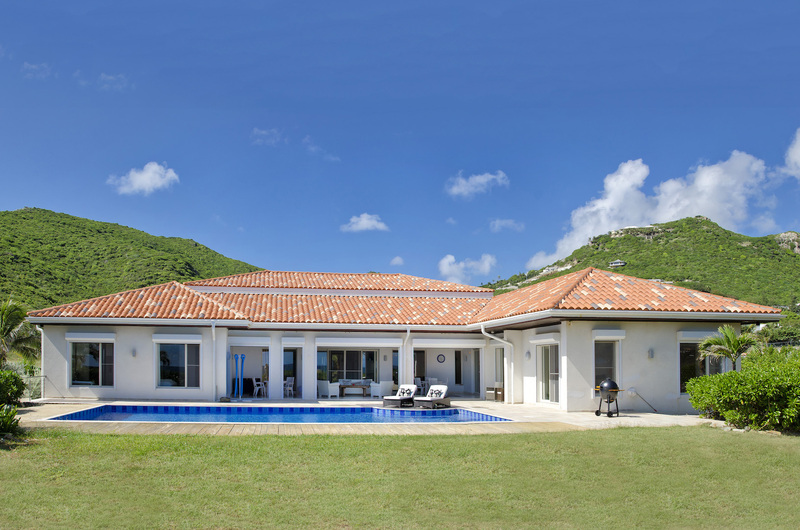 There are six bedrooms, each with an en-suite bathroom. 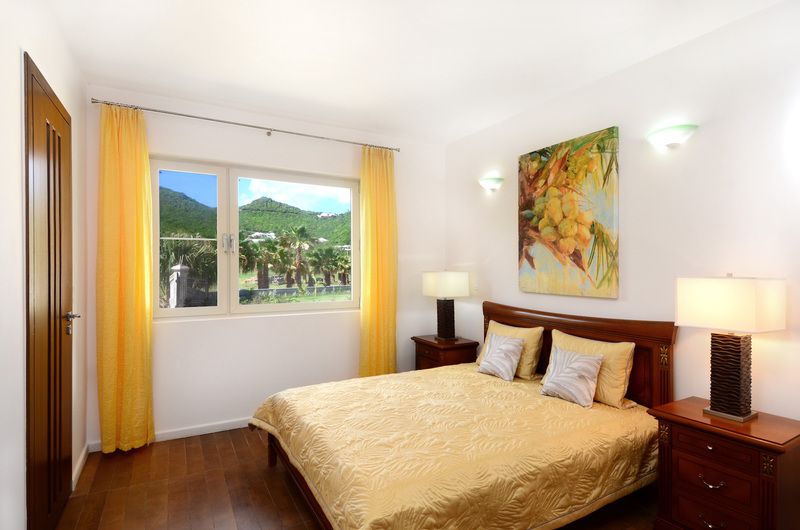 5 bedrooms offer king size beds and 1 bedroom offers 2 twin beds. 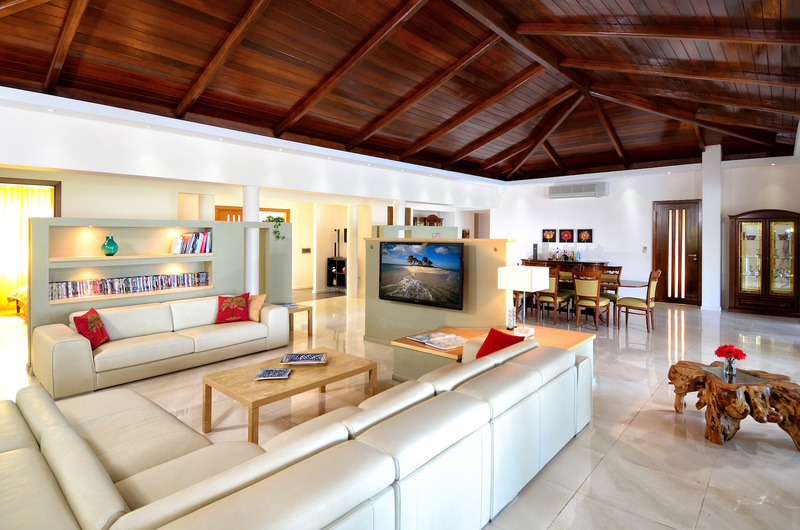 The air-conditioned living room is exquisitely furnished. 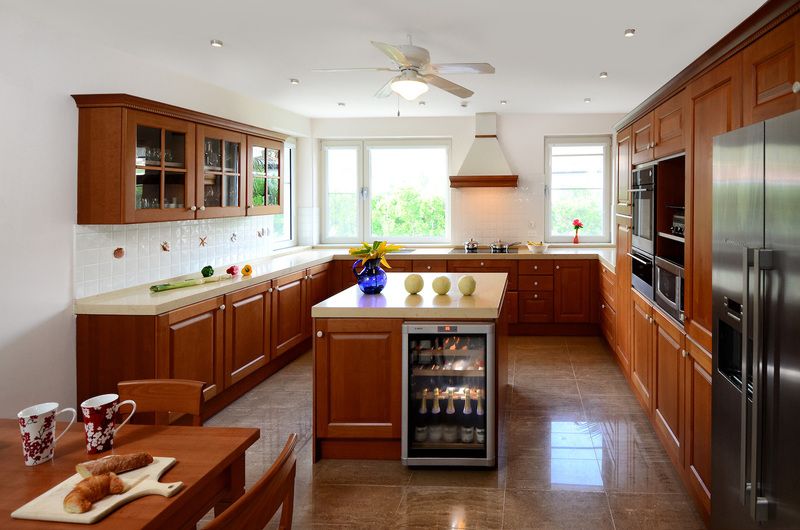 The fabulous gourmet kitchen offers exquisite granite countertops and is fully equipped with modern deluxe stainless steel appliances. 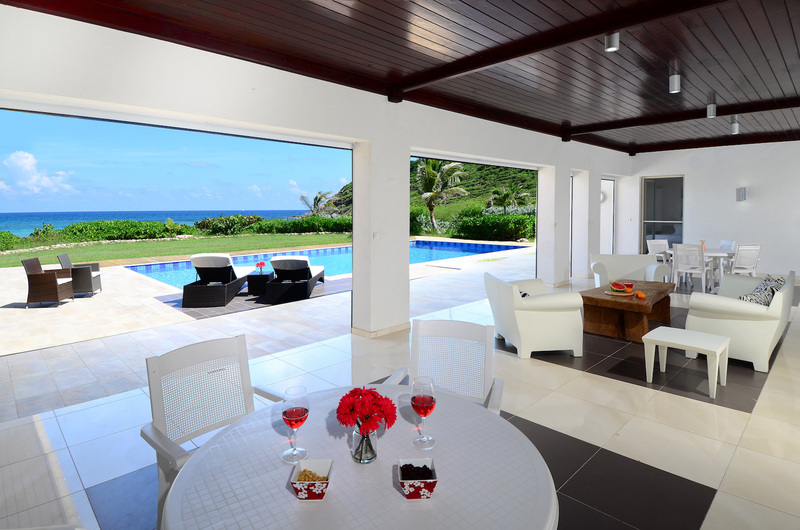 Large sliding glass doors open onto an outdoor extensive terrace area. 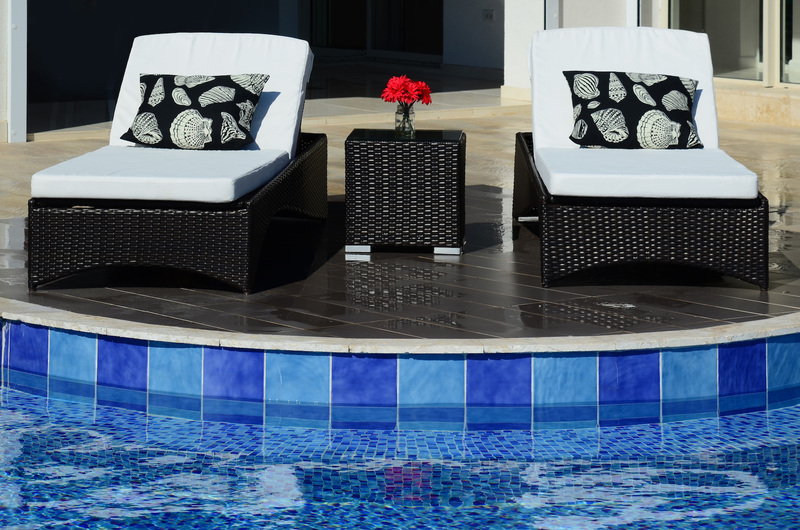 The terrace area offers a private pool, an outdoor covered dining area and comfortable lounge chairs for you to soak in the sun. 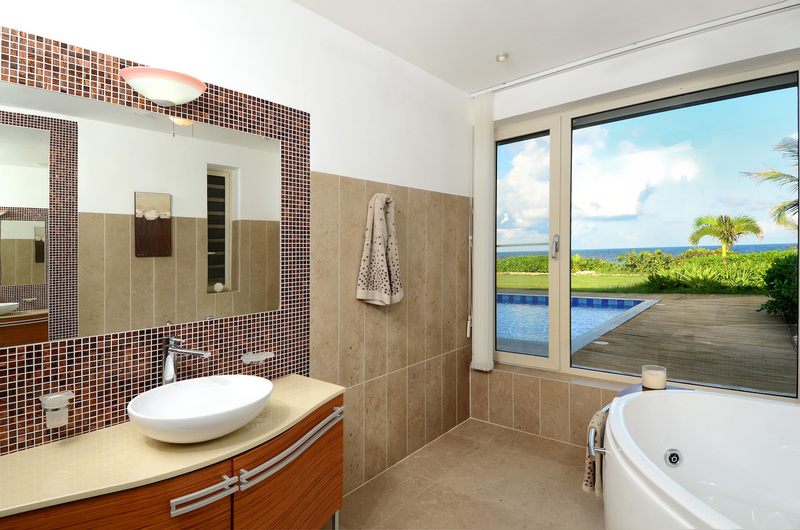 In addition, there is an outdoor shower for your use when returning from your own private beach. 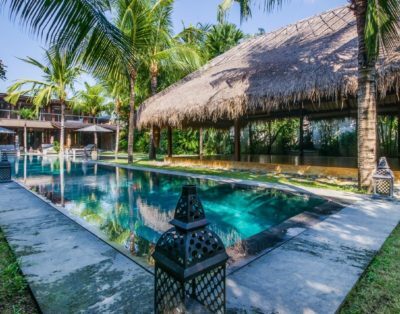 The villa’s extensive space, rooms, patios, outside terrace and private pool join together creating a wonderful harmonious flow throughout and are bordered by a luxuriant large garden. 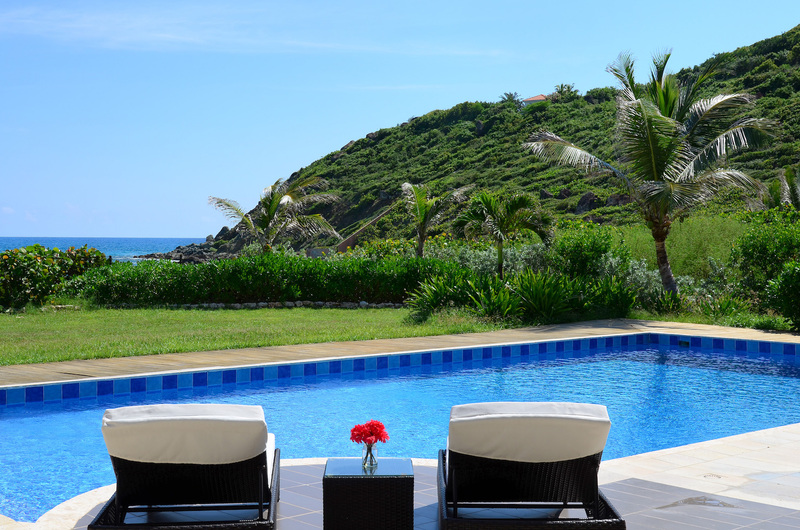 Swim in the beautiful pool, take a dip in the ocean, sunbathe, dine, and enjoy the ocean breezes. 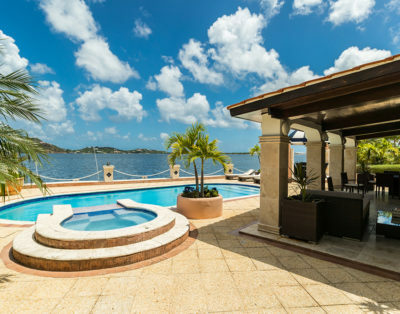 Villa Orchid will deliver you the vacation of your dreams. 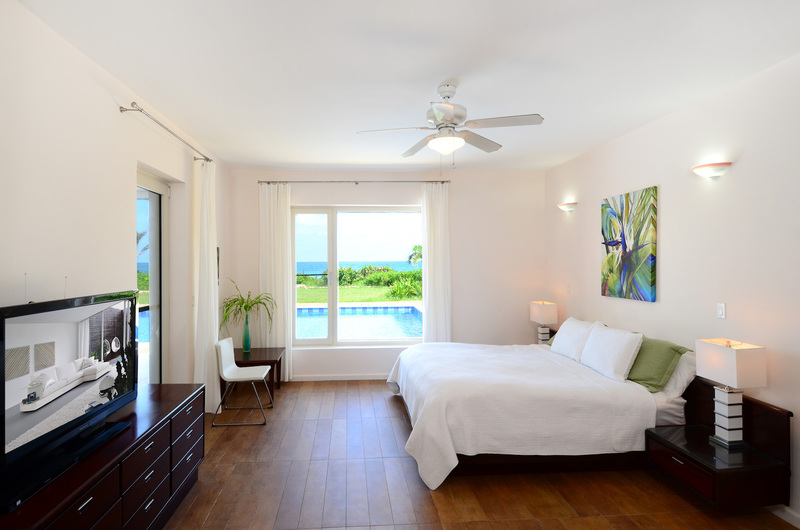 Master Bedroom 1 – The Master Bedroom offers oceanviews and is equipped a king-size bed, air conditioning, ceiling fan, satellite TV, safe and spacious closets. 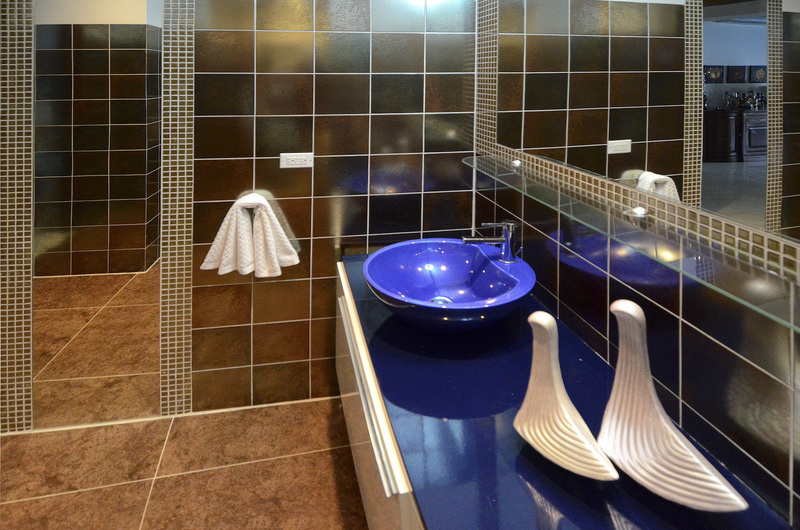 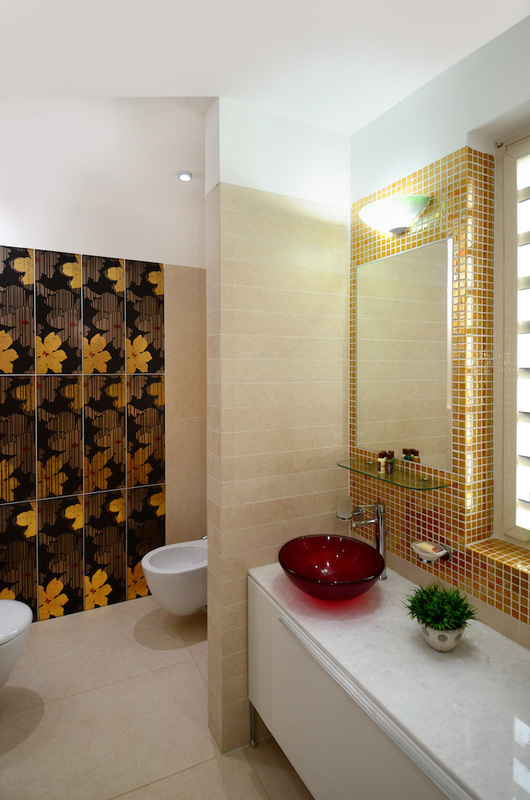 The en-suite bathroom is equipped with a jet-tub, separate shower, double bowl sinks, bidet and hairdryer. 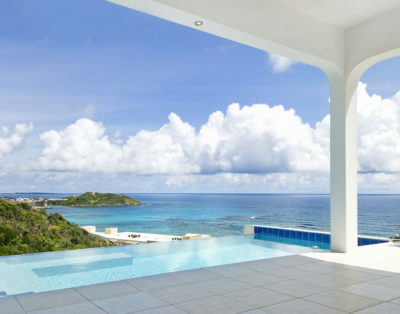 The master bedroom overlooks the pool area and beach. 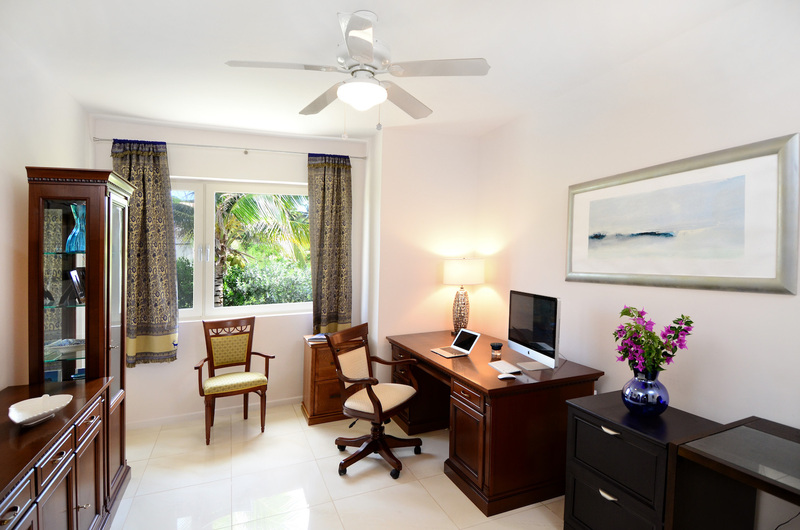 Bedroom 2 – The second bedroom offers oceanviews and is equipped with a king-size bed, air conditioning, ceiling fan, satellite TV and spacious closets. 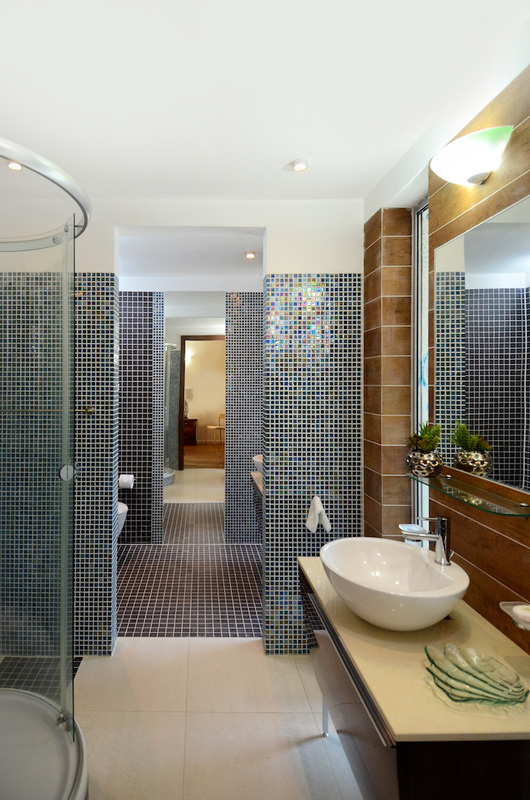 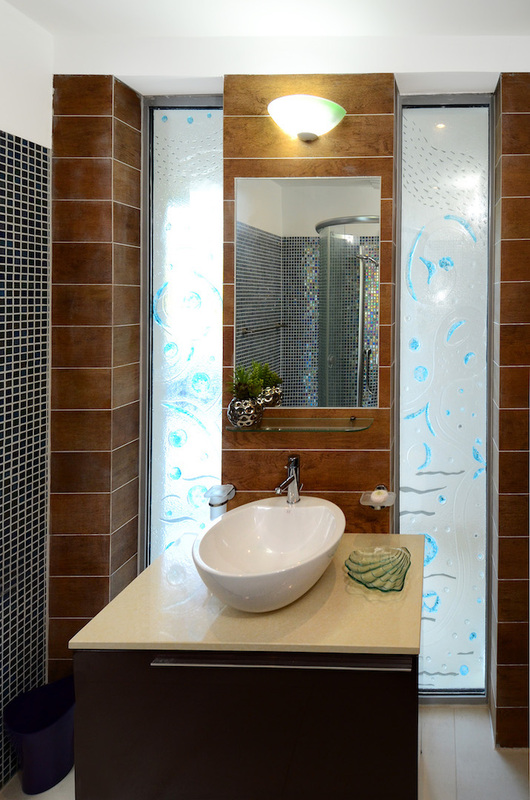 The en-suite bathroom is equipped with a shower and single bowl sink. 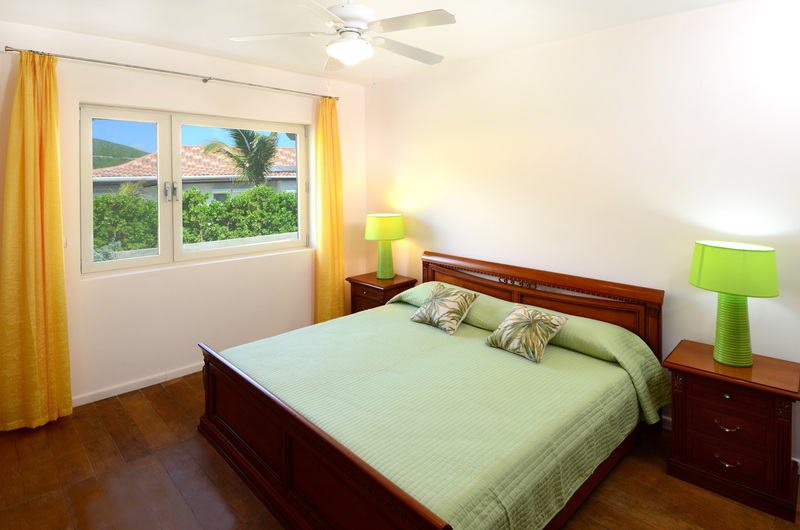 Bedroom 3 – The third bedroom offers a king-size bed, air conditioning, ceiling fan, satellite TV and spacious closets. 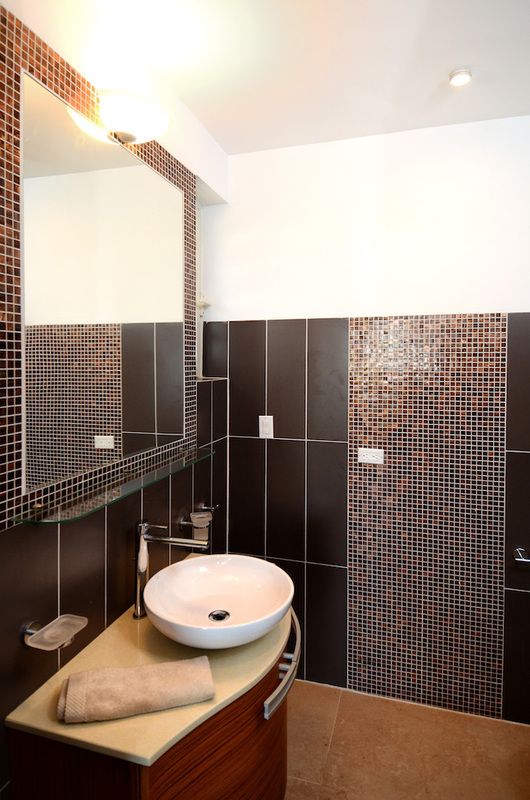 The en-suite bathroom is equipped with a shower and single bowl sink. 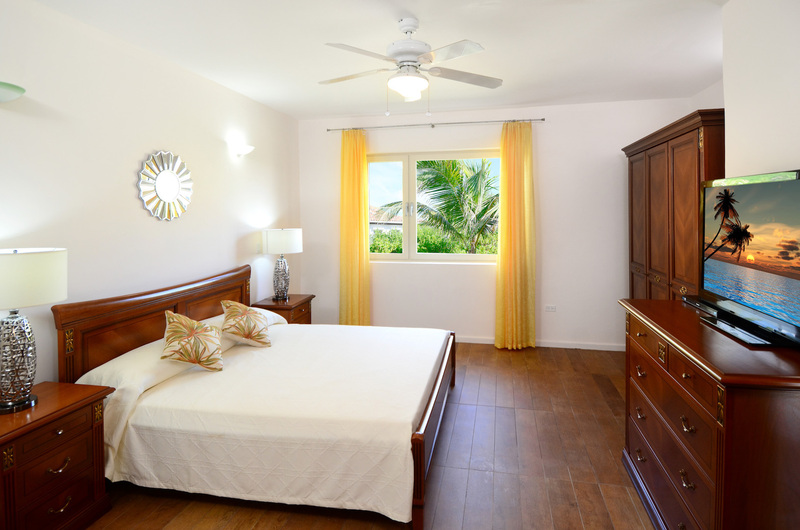 Bedroom 4 – The fourth bedroom offers a king-size bed, air conditioning, ceiling fan and spacious closets. 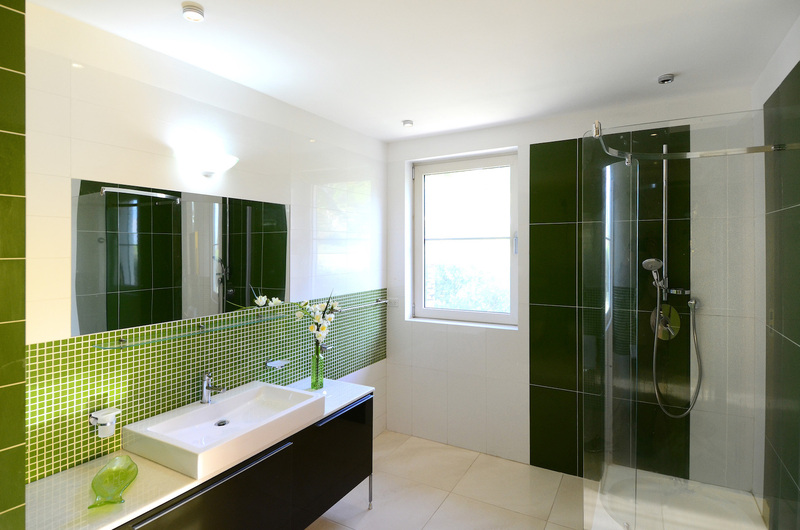 The en-suite bathroom is equipped with a shower and single bowl sink. 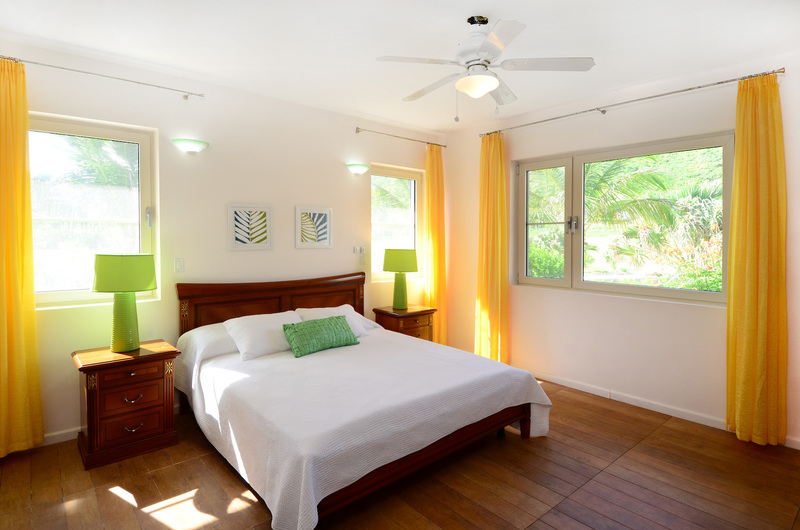 Bedroom 6 – The sixth bedroom offers two twin beds, air conditioning, ceiling fan and spacious closets. 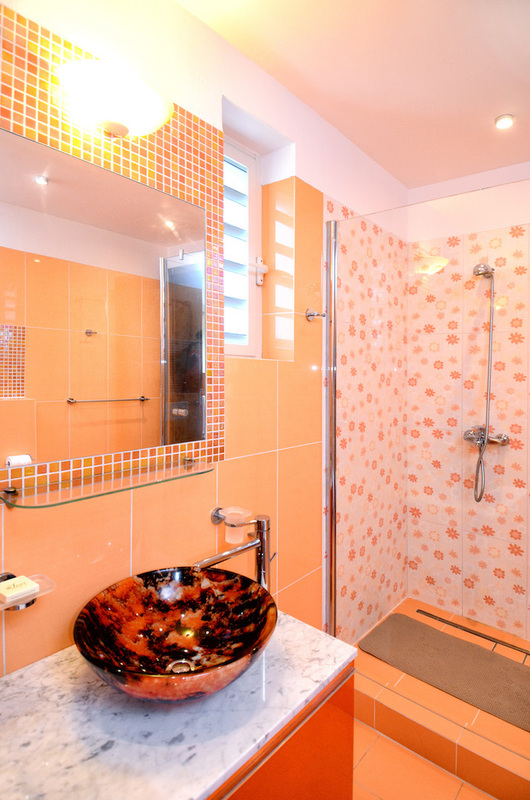 The en-suite bathroom is equipped with a shower and single bowl sink. 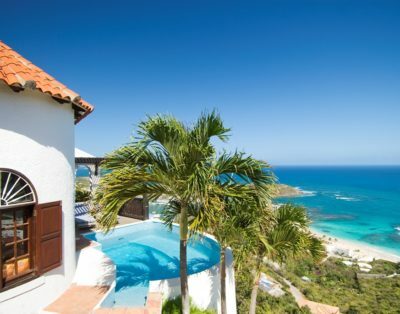 The entire villa is furnished with contemporary designer furnishings from Europe…The living and dining area is very spacious and offers wonderful views of the ocean. 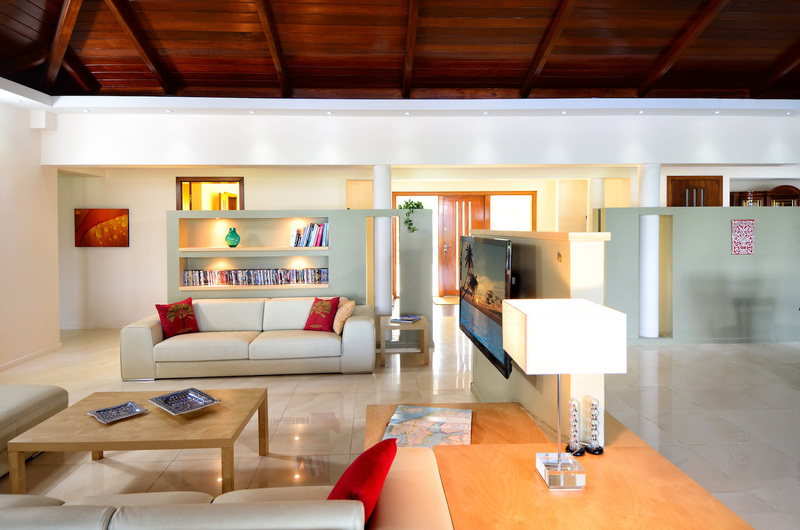 The indoor living area is offers a comfortable sitting area and in-door dining area for 10 persons. 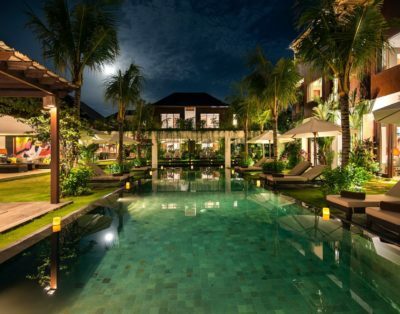 Large glass doors open onto the covered terrace area and pool area which offers an outdoor covered dining area. 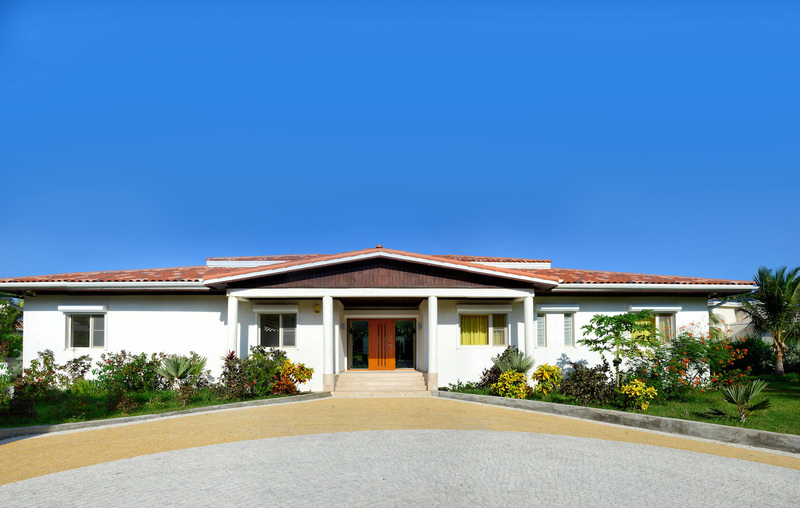 The modern, gourmet kitchen is equipped with granite counter tops, state-of-the-art deluxe appliances, electric stove/oven, dishwasher, microwave, refrigerator with ice machine, wine cooler, toaster, blender, coffee maker and a full supply of china, glasses, cooking utensils, crockery and pots. 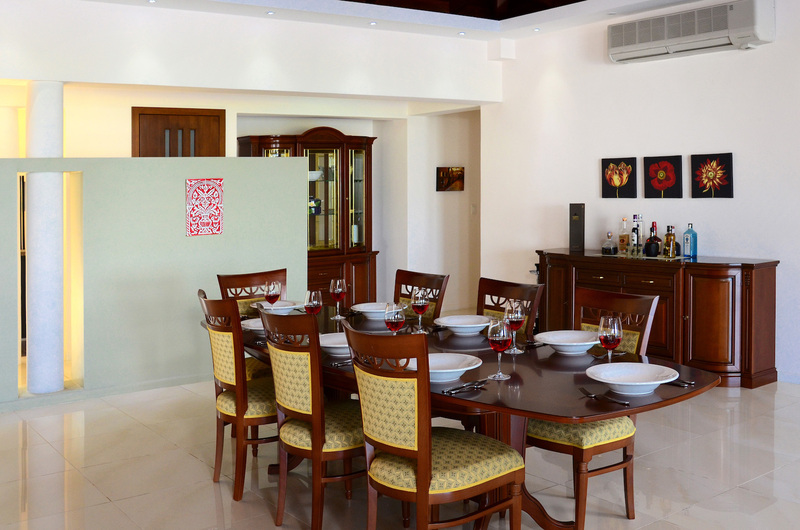 Plus there is a table with four chairs within the kitchen area. 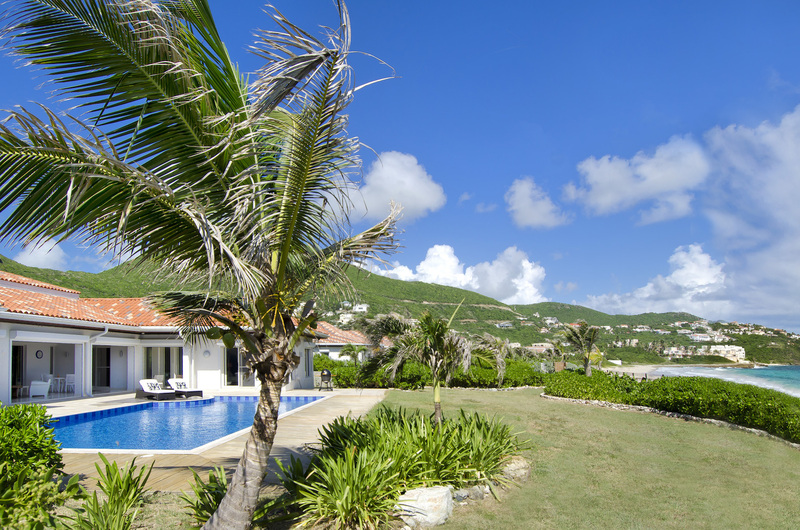 The villa has a lovely 45.9′ x 20.5′ pool and is a wonderful area for relaxing and enjoying the fabulous views. 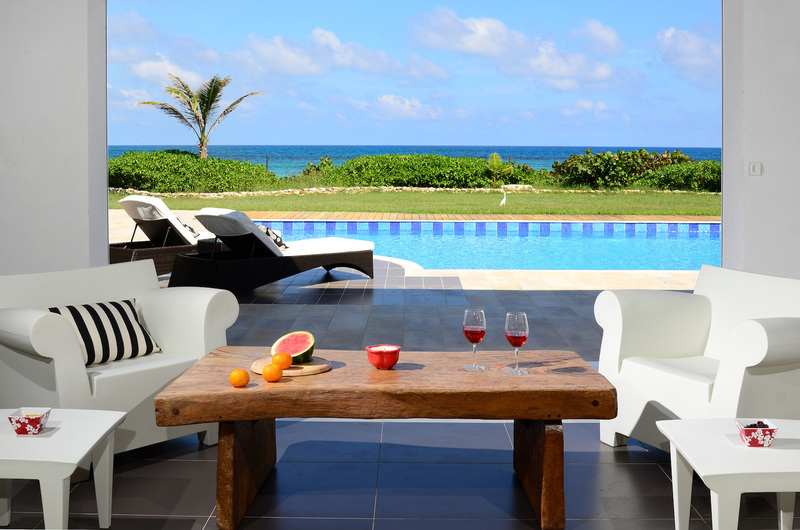 The pool area is surrounded by comfortable lounge chairs for total relaxation and unwinding and outdoor dining area. 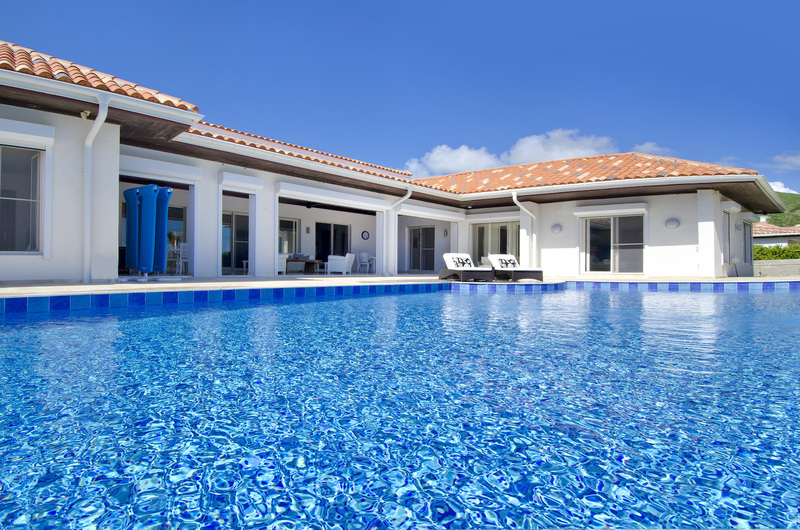 3 Bed Villa w/private heated pool! 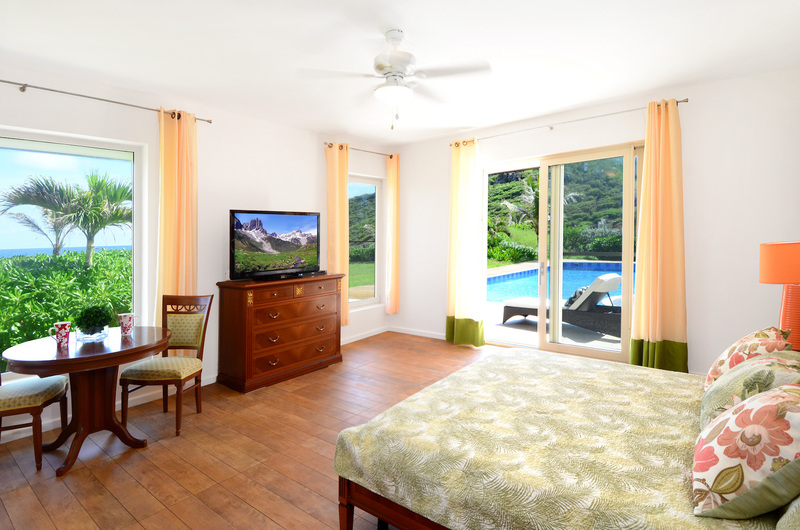 Suite Hub is committed to delivering a high level of expertise, customer service, and attention to detail to the market of accommodation booking. 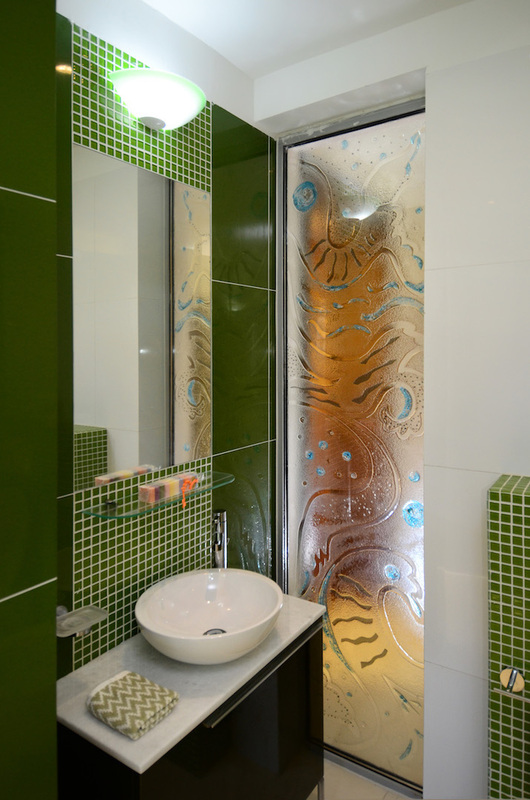 © Copyright 2018 | Suite Hub All Rights Reserved.